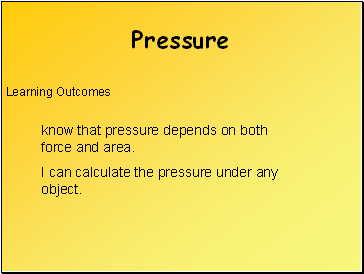 know that pressure depends on both force and area. 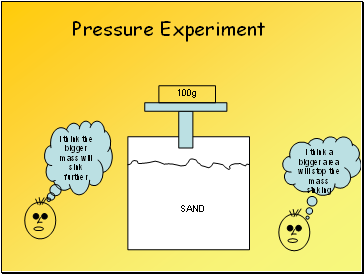 I can calculate the pressure under any object. 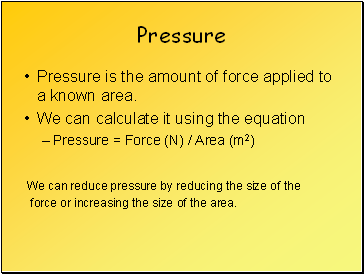 Pressure is the amount of force applied to a known area. 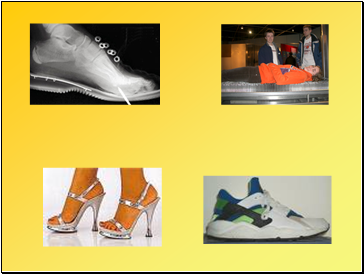 force or increasing the size of the area.